Hmm, this wallpaper didn't take much effort, about 2-3 hours. no brushes. just a scan and a few textures from hybrid-genesis. Yay! 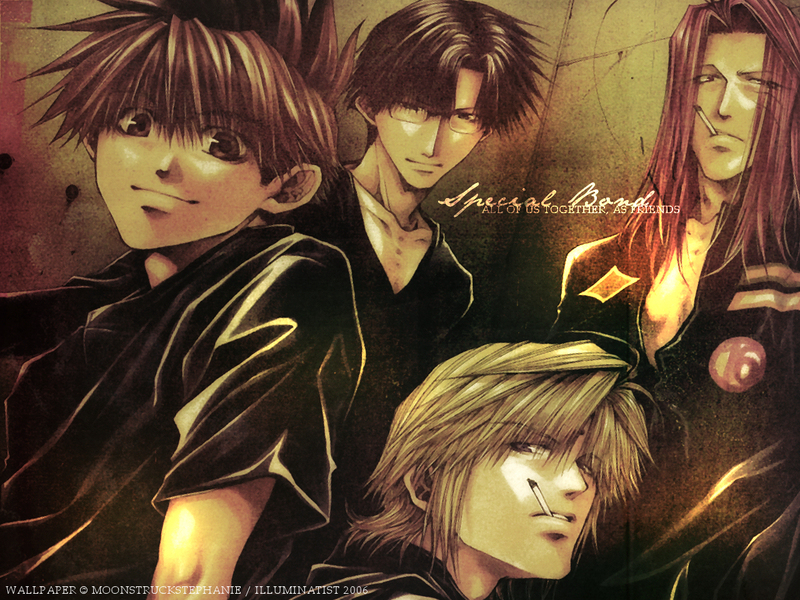 Saiyuki! The whole gang is together, and looking good while they're at it! Now I will speak in english to make every body happy!